The Obama administration has rolled out its top security officials this week in an attempt to show it has a handle on a growing number of terrorist threats this holiday season. The move comes amid what Homeland Security Secretary Janet Napolitano calls "a lot of chatter in the intel world" that refers to the holidays. Despite that development, she told ABC News, there's no specific and credible threat. Napolitano appeared with Deputy National Security Advisor John Brennan and Director of National Intelligence James Clapper for an interview Tuesday with ABC's Diane Sawyer. The attempt to build public confidence suffered when Clapper was caught unaware that British authorities arrested 12 terror suspects earlier Tuesday in connection with a plot to detonate a series of bombs targeting holiday shoppers. Clapper should have been briefed about the arrests, officials acknowledged. Brennan followed up the interview by meeting with White House reporters during Wednesday's daily briefing. Counter-terror measures have made it more difficult for al-Qaida and other terrorist groups to carry out large-scale attacks, he told reporters. That explains why "what we have seen recently is increased focus, I think, on the part of terrorist groups to try to carry out some of these smaller- scale attacks. And so we are staying very focused on our ability to detect those types of attacks and stop them, whether or not they're by individuals or they're part of a larger organizational effort." That has been evident without Brennan's acknowledgement with reports from Europe and the Middle East indicating a number of plots may be in the works. Sweden's first-ever suicide bombing may have been part of a broader plan targeting attacks against Western and American communities. The Middle East Media Research Institute (MEMRI) summarized recently issued jihadist threats, including a call to "to strike at America's 'soft belly' during the holiday by sabotaging the electric grid." The report also notes suggestions that increased chatter alone can " produce an overall state of confusion among the enemy." Last Christmas, a would-be terrorist trained in Yemen tried to blow up an airliner over Detroit. Umar Farouk Abdulmutallab's attempted attack failed when powerful explosives sewn into his underwear failed to detonate. He was able to board a flight from Amsterdam despite intelligence about his terrorist connections, even after his own father warned U.S. officials that he was concerned about his son's radicalism. Security changes since that episode would prevent Abdulmutallab, or someone like him, from boarding a plane today, Napolitano said. But as national security officials make adjustments, so do the terrorists. In the wake of a series of U.S. arrests involving bomb plots that were foiled by undercover FBI agents and informants, a new document is circulating on jihadist websites alerting potential homegrown terrorists to the risk of informants. It gives advice about how to carry out their plots without detection or infiltration by government agents. In the wake of Mohamed Osman Mohamud's foiled plot to bomb a Portland, Ore., Christmas tree lighting, the document advises terrorists to be more aware of government surveillance and carry out faster, less traceable attacks. "Spies will ask their targets to be 'specific' and 'clear.' For example, if you say you say you are interested in Jihad, they will ask if you mean physical Jihad," the article explains on the al-Qaida–linked website Kafkazcenter.com. "Most operations, especially an istishhadi [suicide] operation, do not need months upon months of training, but spies will make it appear as though it does… These types of operations do not need the types of planning spies often specify, and especially not the the [sic] degree they specify." The same article appears on jihadi sites like "The Unjust Media," "Ansar al-Mujahidin's English Forum," and even on a Yahoo group page called "Ekonomi-Islam." Groups like these rebroadcast terrorist messages and communiqués in English, alongside original articles. The article called "10 Methods to Detect and Foil the Plots of Spies" gives detailed descriptions of supposedly common entrapment methods and advice on how to shake FBI informants. 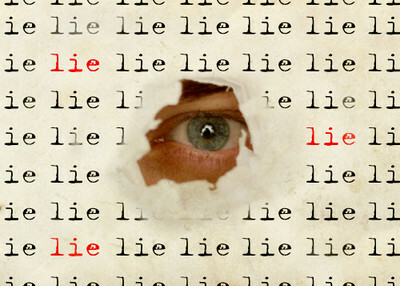 "Lie, lie, lie! Remember, this is a spy you are talking to," warns the document. The article gives a list of 'red flags' for potential terrorists to note, as well as information about how FBI agents allegedly infiltrate plots. "A spy may groom their target for months before mentioning Jihad, and even then, they will start out small, "the document cautions. This is "because bluntness (i.e. talking about Jihad from day one) raises red flags." "You may notice red flags in the form of lies and inconsistencies," it says, which are "changes in stories, which are typically elaborated upon once you make it known that you are aware in the changes in their stories." "Other red flags include major statements. These typically include claims to be a member of a Mujahideen organization, or to be in contact with Mujahideen…or to have known personally or met various leaders of the Mujahideen. This should be obvious," it advises. "Anyone who makes these claims is either a liar, or if they are truthful, then they are extremely jahil [ignorant] when it comes to security, both for themselves and for the Mujahideen whom the[y] represent." "In the process of grooming, a spy will always accept you," the article notes. "They will accept your manhaj [methodology] and not debate it, even if they say it is different from their own…Only if the target seems to be against the Jihad which the spy is talking about - whether it is Al Qa'idah or Jaish e Muhammad - will they spy become or appear to become upset." The document warns potential terrorists not to trust agents posing as students. "Spies use this ploy to make themselves seem normal, as if they have a life that can be related to… However, if one really seeks Jihad, and in particular Shahadah [martyrdom] by means of an Istishhadi [suicide] or Fidaye [resistance] mission, it is unlikely their primary focus is schooling." It also asks the jihadist to ask tough questions of any potential contact. "Now ask yourself, if they already trust you, why do they need you? … If there was already a group of brother [sic], amongst them a bomb maker, why did they need someone else to drive the car? If an individual already claims to know how to build a bomb, why would they ask you to plant it," the article stated. It further urges jihadis to pay attention to the Oregon case, stating, "If you look at the events of Oregon and learn from them, you will see that it was a group of "brothers" who in fact spies that recruited our noble brother, may Allah free him." Many of these cautionary pieces of advice are lessons learned from Mohamud's Christmas tree bombing plot in Oregon. When Mohamud contacted two unindicted Pakistani associates to facilitate his travel there for jihad training, undercover agents moved in by pretending to be contacts of those associates. Step-by-step, they worked with Mohamud as he identified his need to become "operational," set his sights on the Christmas tree lighting ceremony in Portland's Pioneer Courthouse Square, and laid out his "final rationale for his attack." If a terrorist believes that he has been identified by an informant, the document gives advice on shaking the unwanted attention. "Obviously, you must cut all contact with the person you suspect of being a spy. However, beforehand it may be beneficial to tell them that you have in fact become disenchanted with Jihad. It may even be wise to claim that you have lost interest in Islam," it counseled. "It may be wise to change user names on forums or switch email accounts. Also important, if possible, do not let this individual know that you are aware that they are a spy. Otherwise, they may realize you are lying to them, and still continue to investigate you." The document also functions as self-reinforcement for jihadists, who see the West as mounting a war against Islam. "Note: if you think you don't have anything to fear, don't be too sure of yourself," one reader posted on a thread about the article on the jihadist website Islamicawakening.com. "Don't assume that there aren't any people out there interested in entrapping people." The ABC News & Janet Napolitano Show. Your Top Security People, God Forbid. Its reminds me Days of my Youth, well I like to say, of not so long ago, In Leicester Square, as I had hour or two to spare, I looked around and did see Monseigneur News Theaters, offering Cartoons,News,and Nature Topics. But Laugh I did that Day when Laurel & Hardy appeared on the Screen,for the bellows of laughter every were, but it so reminds of the Janet Napolitano show,with James Clapper and John Brennan,looking surprised with startled dismay,are these the best you Have to Clear the Scum Away. What a Fine Mess we Got ourselves Into?.